What a fantastic place to have a short break. 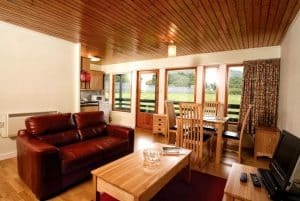 We love recommending Logierait Lodges to our customers, why? 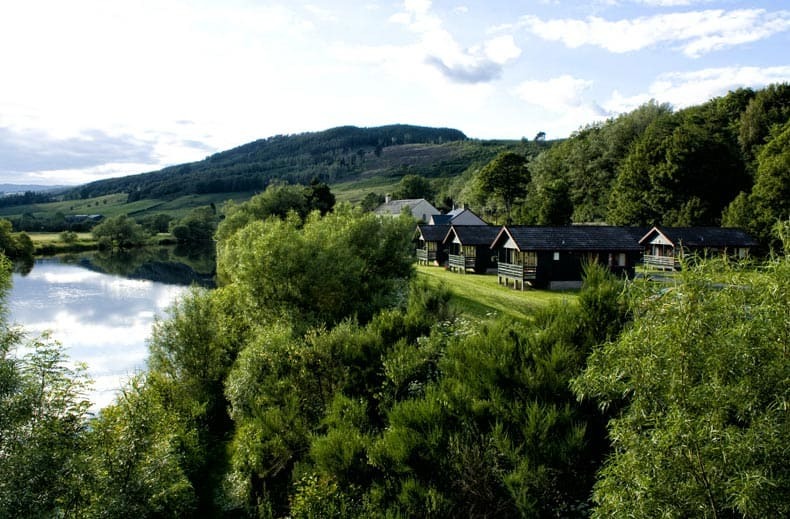 Because we know them, we know the staff and we know the passion they have for their customers, they are local (on the route to Splash HQ and to our River Tummel site) and not to mention that Logierait Lodges really does have everything a holiday maker, family holiday, adventurer should want or need. 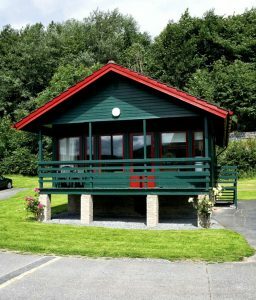 The lodges and Cottage at Logierait Lodges are spacious, modern and come will all the home comforts and amenities you would expect. 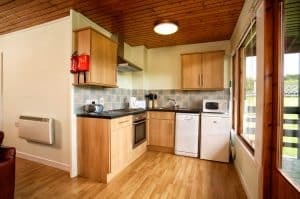 Including heating, wifi, large freeview TVs, comfortable beds, fluffy towels self catering kitchen and a balconies to soak up the views. 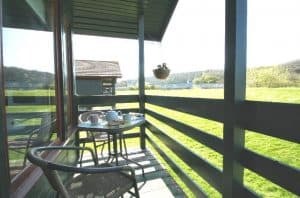 The views are of the majestic River Tay the very same river we raft but here it’s gentle and winding and perfect for fishing, and if you like fishing you won’t be disappointed because FREE fishing is included. 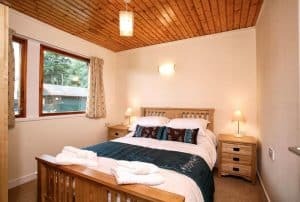 With 16 self catering properties that sleep between 2 and 7 people, Logierait Lodges can accommodate most. 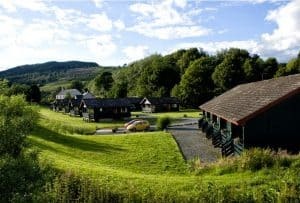 After a fun day of adventure rafting, canyoning, paintball, climbing, walking, sightseeing, fishing, eating, you know there is a hot shower and some big fluffy towels, a balcony and some R and R in a majestic landscape setting waiting for you a Logierait Lodges . We at Splash White Water Rafting offer the Yin to Logierait Lodges Yang, we are the outdoors adrenaline to balance the relaxation and comfort. 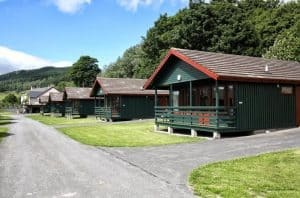 We offer a range of adrenaline fuelled activities from white water rafting, white water bugs (small one person rafts – great fun), paintball, abseiling, climbing, canyoning and more. Have a look at the videos below to get a feel for what we do. 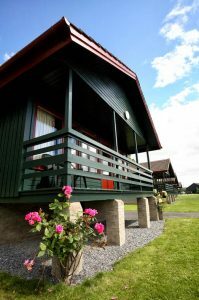 We have teamed up with Logierait Lodges to provide excellent, comfortable, local accommodation for our clients that want to make night, weekend , short break of their adventure with us. Thanks for reading and whatever you chose have the most excellent holiday in the Scottish highlands.